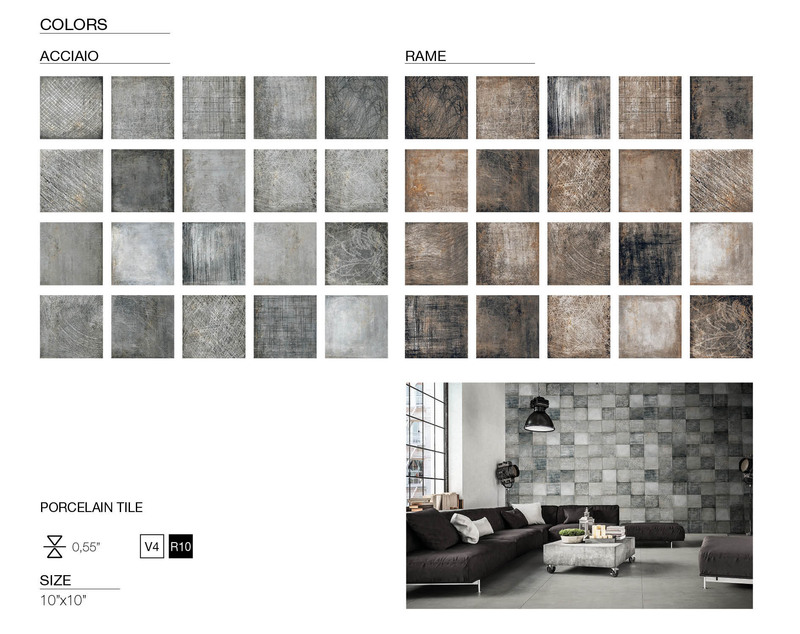 The roughness of metal surfaces applied to a delicate format: the contrast between rough graphics and the 25x25 format adds new content to this collection in contemporary style. 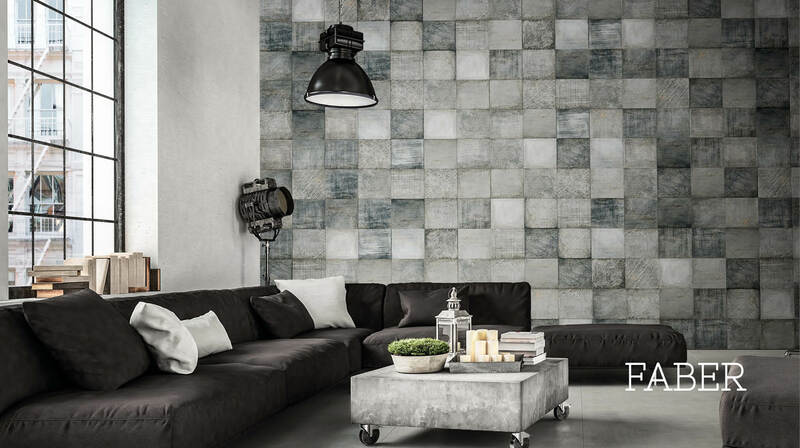 Faber reworks metal surfaces in highly varied colours by adding graphic scratches and grains with a time-worn look, traces and movements on the surface playing with hues of the basic background colour. Steel and copper provide the backdrop to work on to create a new ceramic material for today’s spaces. Made +39 reinterprets contemporary luxury as a meeting-place for Italy's tradition of design and today's new technologies. The result, expressed in a vocabulary that draws on the worlds of Italian fashion and traditional handcrafting, is a range of products and materials for interior architecture characterised by quality and aesthetic research, to add value to a variety of different spaces and types of design.